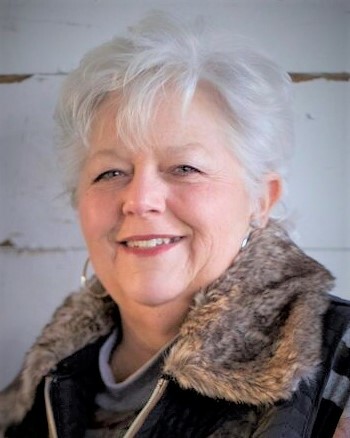 Sharon Horn was born March 13, 1950 and went to be with the Lord on October 27, 2018 due to complications from stage 4 colon cancer. Sharon grew up in Evergreen Park with her parents Joseph and Helena Onderwater and 7 brothers and sisters. Some knew her as "mom”, ”sister", and many “GMA”. Sharon is a woman who lived her life as a great adventure and who loved every person she encountered along the way. Sharon possessed joy only the Lord can give. With joy she walked through good times and with joy she walked through the hardest of times. Everyone who knew Sharon knows that she was a force to be reckoned with and she passed that fighting spirit into her family and friends as well. Resilience carried her through her days, a strength and hope that comes only from her relationship with Jesus Christ. Even in her hardest days, her words were positive and she kept loving people. Sharon lived a life of legacy, making an impact in every place she traveled and every person she saw, she laughed hard, partied hard, and loved hard in every circumstance, and never gave up an opportunity to send "love and hugs". Here's to Sharon, a life well-lived, and a joy only heaven itself can match. She is survived by her brothers and sisters Carol Glaser, Harry Onderwater (Joanne), Helena Dougherty, Bob Onderwater (Virginia). Her children, Andrew Horn (Shelly), Elena Chadwell (Don), Jason Horn (Dawn), Kaitelyn Assissel (Ismail), Jonathan Horn (Kami), Amy Brennon (Alisha). Her 16 grandchildren and 13 nieces and nephews. She is preceded in death by her parents Joseph and Helena Onderwater, her brother Joe, and sisters Marilyn, and Kathleen Onderwater. Memorials to the Sharon Horn memorial fund in care of her family appreciated.